Biostar has created a new motherboard for the Intel Skylake CPU family. The new board is called Racing B150 GTN and comes with RGB LED lights support. 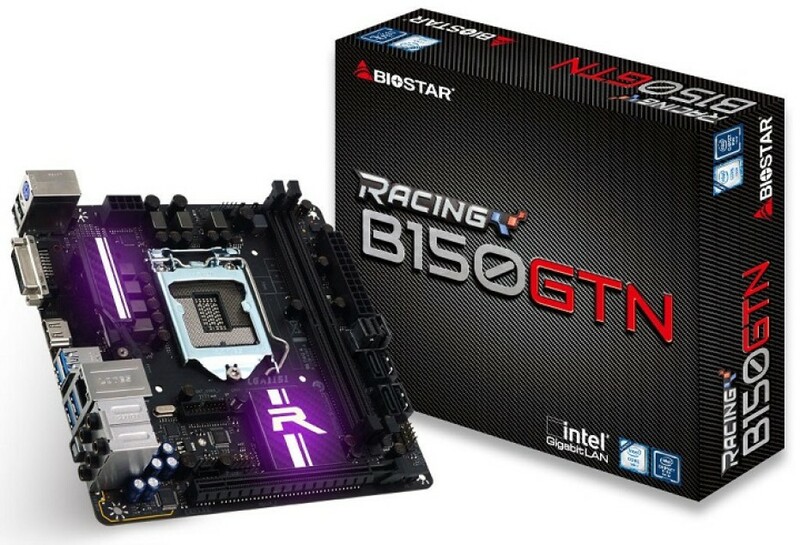 According to Biostar, however, the Racing B150 GTN is the first mini-ITX motherboard that gives the user full control over these RGB LED lights. The Racing B150 GTN supports all current Intel Skylake LGA 1151 processors and offers a single PCI-E 3.0 x16 slot as well as two DDR4-2133 memory slots. The board is also equipped with four SATA 3.0 ports, a single U.2 port and one M.2 connector with maximum bandwidth of 32 GB/sec and support for storage drives that are up to 80 mm long. At the back the Racing B150 GTN has four USB 3.0 ports, two USB 2.0 connectors, one RJ-45 port, one PS/2 port, audio jacks, one HDMI connector and one DVI port. The release date and the price of the Racing B150 GTN are unknown.